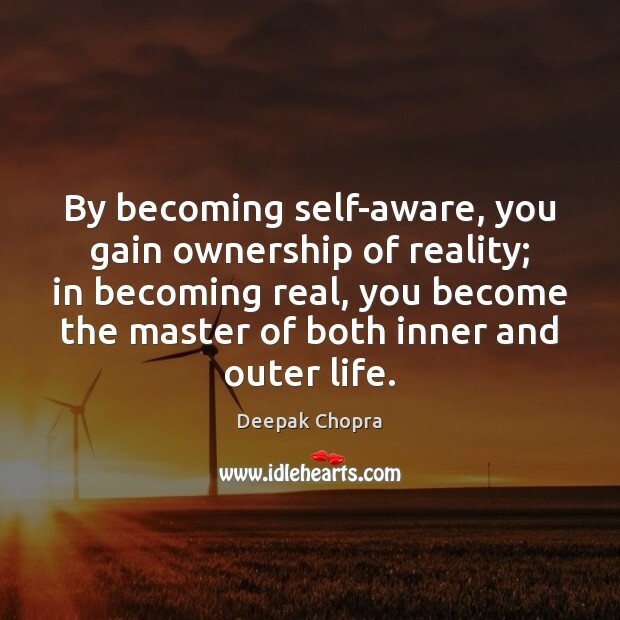 Quotations about Becoming Real. Quotes to stimulate mind and drive action! Use the words and quote images to feed your brain inspiring things daily! 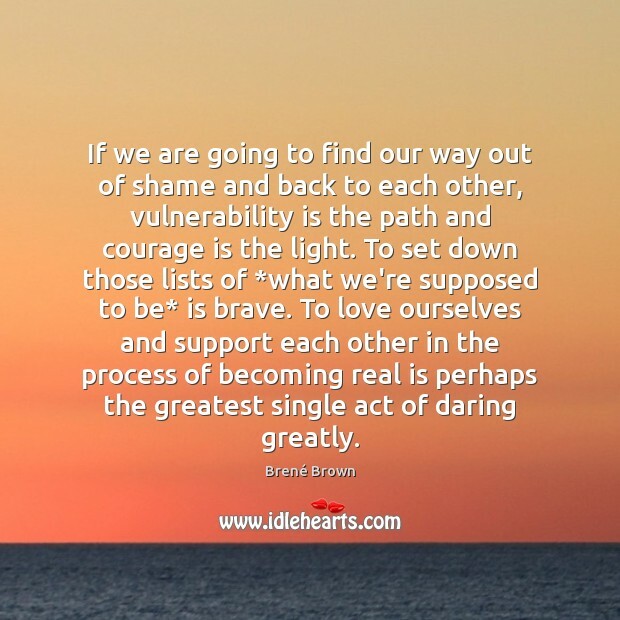 If we are going to find our way out of shame and back to each other, vulnerability is the path and courage is the light. To set down those lists of *what we're supposed to be* is brave. To love ourselves and support each other in the process of becoming real is perhaps the greatest single act of daring greatly. Generally, by the time you are Real, most of your hair has been loved off, and your eyes drop out and you get loose in the joints and very shabby. 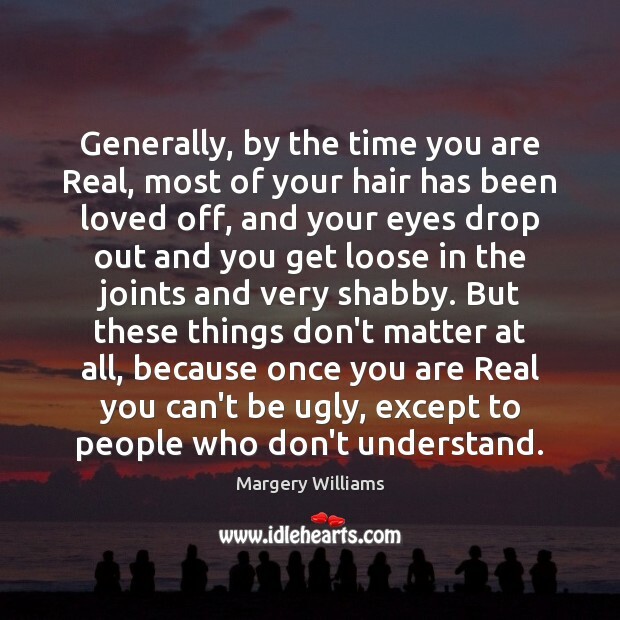 But these things don't matter at all, because once you are Real you can't be ugly, except to people who don't understand. 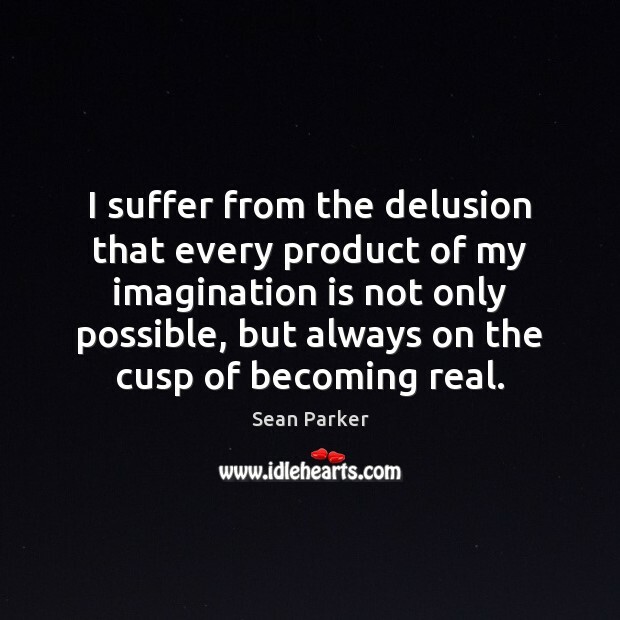 I suffer from the delusion that every product of my imagination is not only possible, but always on the cusp of becoming real. Shut up," I hissed. Ticked that he was taller than me, I stepped up onto a nearby coffee table. "I'm not in a cage anymore," I said, keeping enough presence of mind not to poke him in the chest with a finger. His face went startled, then cloric. "The only thing between your head and my foot becoming real close and personal right now is my questionable professionalism. And if you ever threaten me again, I'll slam you halfway across the room before you can say number-two pencil. Got it, you tall freak of nature? We always have visions, before a thing is made real. 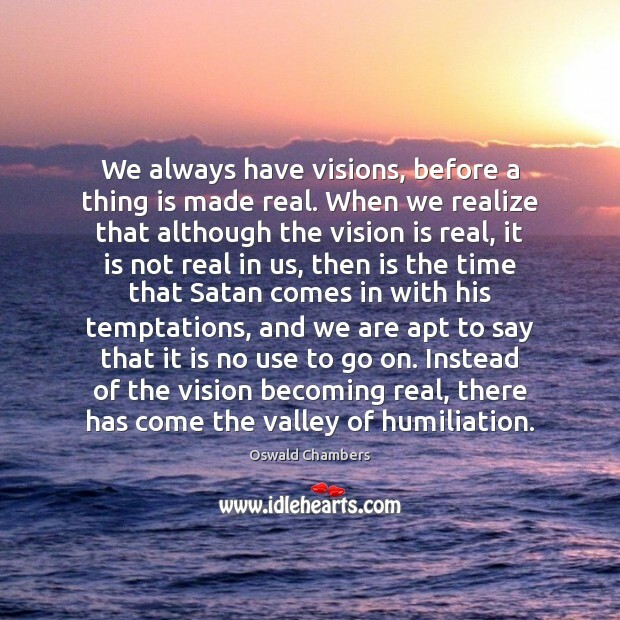 When we realize that although the vision is real, it is not real in us, then is the time that Satan comes in with his temptations, and we are apt to say that it is no use to go on. Instead of the vision becoming real, there has come the valley of humiliation. It doesn't happen all at once. You become. 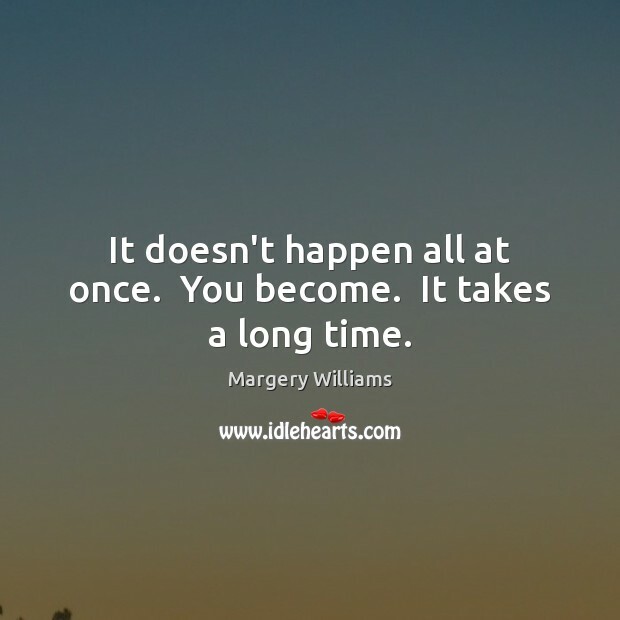 It takes a long time. 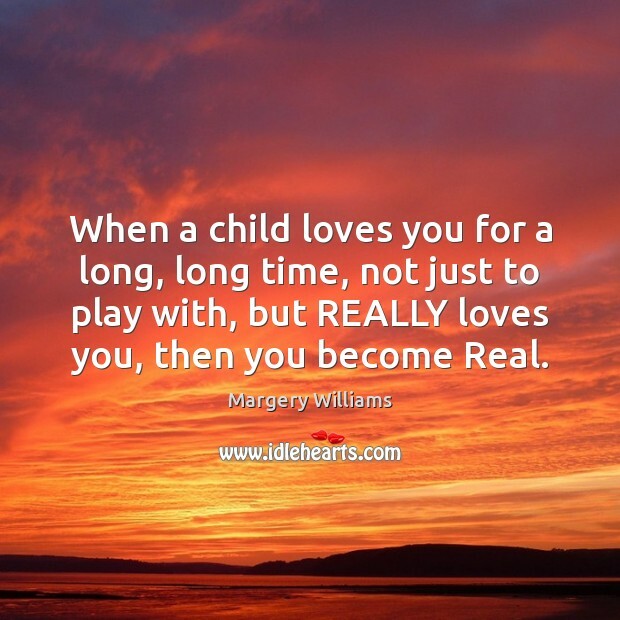 When a child loves you for a long, long time, not just to play with, but REALLY loves you, then you become Real. 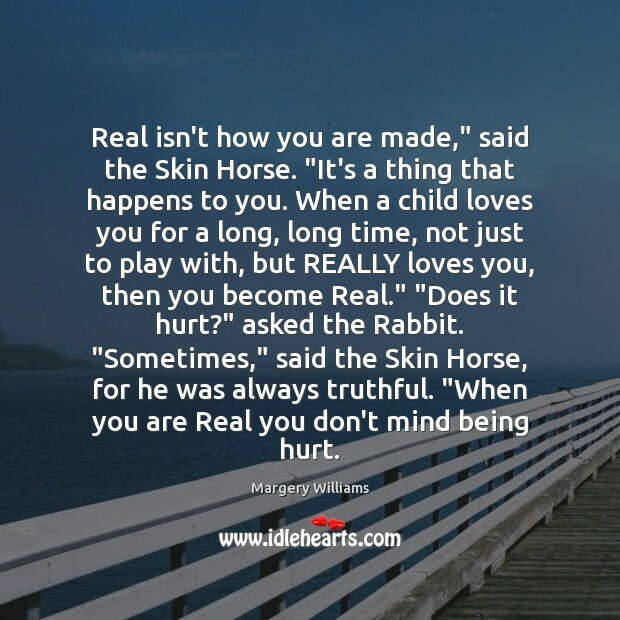 Real isn't how you are made," said the Skin Horse. "It's a thing that happens to you. When a child loves you for a long, long time, not just to play with, but REALLY loves you, then you become Real." "Does it hurt?" asked the Rabbit. "Sometimes," said the Skin Horse, for he was always truthful. 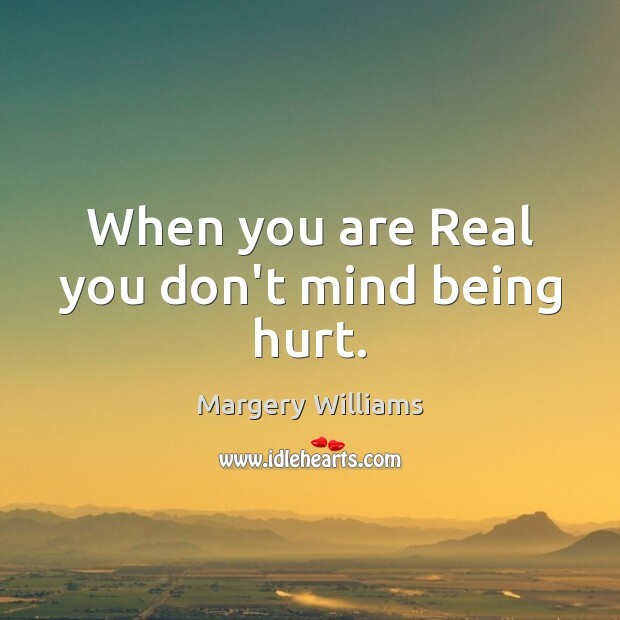 "When you are Real you don't mind being hurt. 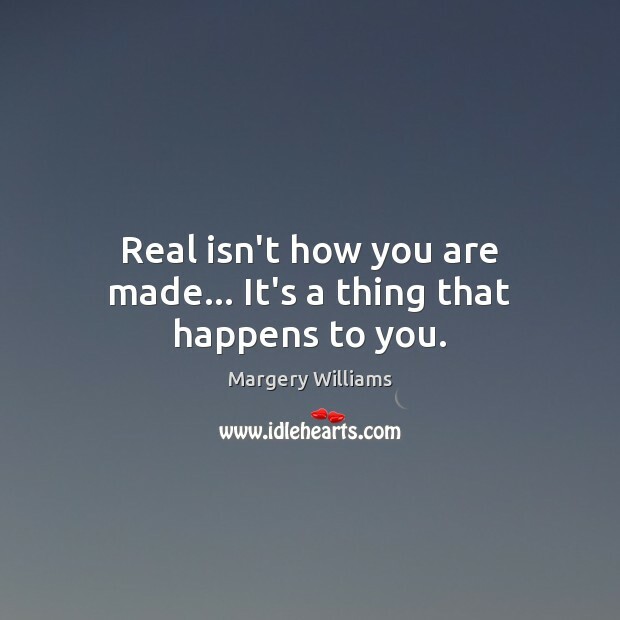 Real isn't how you are made... It's a thing that happens to you.